Glenn Rufrano took over the CEO job for a troubled ARCP in April of 2015. ARCP was plagued by the side-effects of the previous regime’s “grow at any cost” policies. Changing the name to VEREIT (VER) did little to separate it from its past. It takes time to reposition a portfolio with nearly $20 billion in assets. Dealing with multiple lawsuits over the previous management’s alleged fraud does not help. For shareholders, the years have not been kind. Even including the dividends, investors who have held through the pain have a 2.5% loss since Rufrano took the job. During those three years, VER’s triple-net peers have had solid returns, making the opportunity cost of holding VER compared to a competitor very high. In my mind, this is an illustration of buying into a turn-around story too early. The current regime has done a solid job repairing the company, but VER’s past continues to loom. One of the most dramatic changes to VER over the last 3 years is substantial deleveraging. 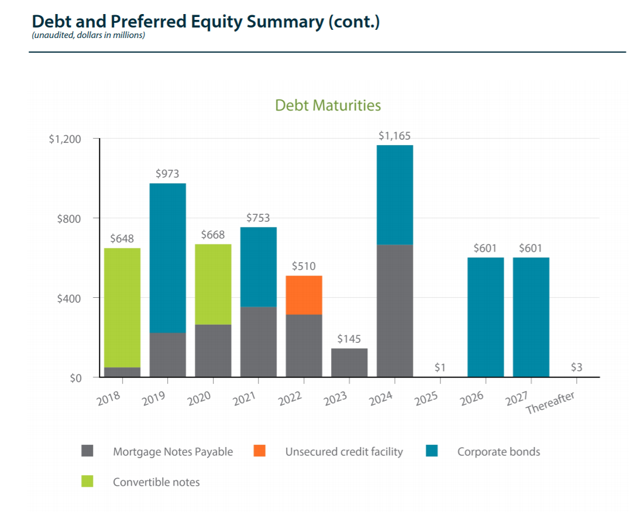 Across the board, all of VER’s debt metrics have become significantly more conservative although it remains slightly more leveraged than premium peers like Realty Income (O) and National Retail Properties (NNN). VER experienced credit downgrades following the accounting scandal. 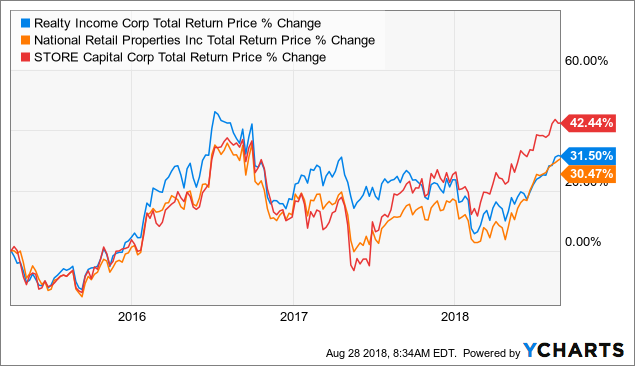 For NNN REITs which profit on the spread between their cost of capital and the cap-rates of their properties, the ability or inability to borrow at low rates has a significant impact on their results. Thanks to the deleveraging efforts, VER has regained their ratings and are currently Baa3 from Moody’s, and BBB- from both S&P and Fitch. With VER preparing to become a net buyer instead of a net seller, it will be crucial for them to maintain and improve their ratings. It is also thanks to these efforts that VER is in a position to minimize the impact of their legal issues. VER was able to pay the $90 million settlement with Vanguard using their revolver. With $1.8 billion in capacity available at the quarter end, VER will have the ability to pay any additional legal settlements with minimal impact on operations. The improved ratings will also help VER manage their upcoming debt maturities. There is a glut of maturities that will need to be refinanced over the next several years. Another area where VER has made significant improvements is their G&A expenses. In March 2015, the trailing 12-months had G&A expenses of $145 million. Most recently, VER had trailing 12-month G&A expenses of only $63 million, which puts them in the same ballpark of O. Unfortunately, the benefits of that are being offset by the elevated legal expenses, which for the trailing 12-months were $59.5 million (excluding the $90 million settlement to Vanguard). As of December 2017, VER was at 330 employees, approximately 100 of which were expected to leave when the Cole Capital sale closed. This compares to the 400 employees employed at the end of 2014. Today, VER is a much leaner and more efficient company than the past. When the legal troubles are finally behind them, these improvements should have a material impact on cash flow. The deleveraging efforts were primarily funded by dispositions of properties. One of the areas the current management team has focused on is reducing their exposure to Red Lobster. As you remember, back in 2015, we said portfolio goals, no more than 5% of tenant, 10% in industry, 10% in market, 30%, 40%, investment grade rating and so forth. If you look at all our metrics, which you have in the supplemental, we are pretty close. We are a little out of whack in Red Lobster, but that’s coming in very quickly. We sold $58 million of Red Lobsters to-date. We expect to sell between $100 million to $150 million this year. So we will be in the fives, we expect by early next year and down than five by the end of next year. So we are in pretty good shape. From a diversification standpoint, VER is sitting in a solid position. The two main drawbacks of their portfolio in my eyes is the number of flat leases and the number of leases that are NN as opposed to NNN. VER’s elevated number of flat and NN leases leaves them more negative exposure to inflation than their peers. 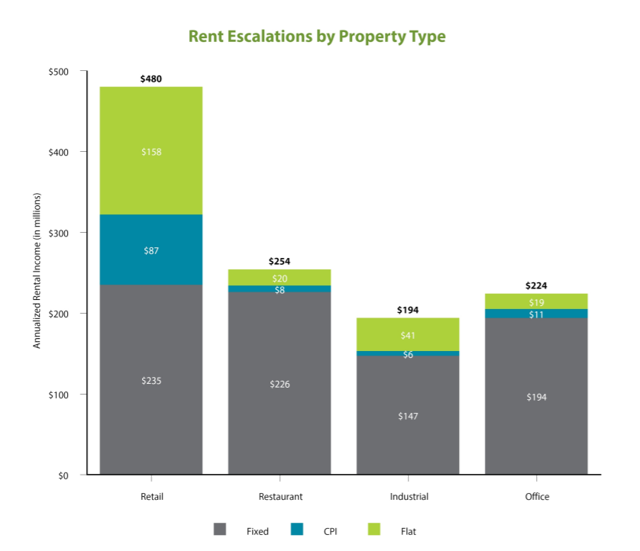 Flat leases are not completely avoidable, but I would like to see their exposure brought down to 10-12% of their portfolio. 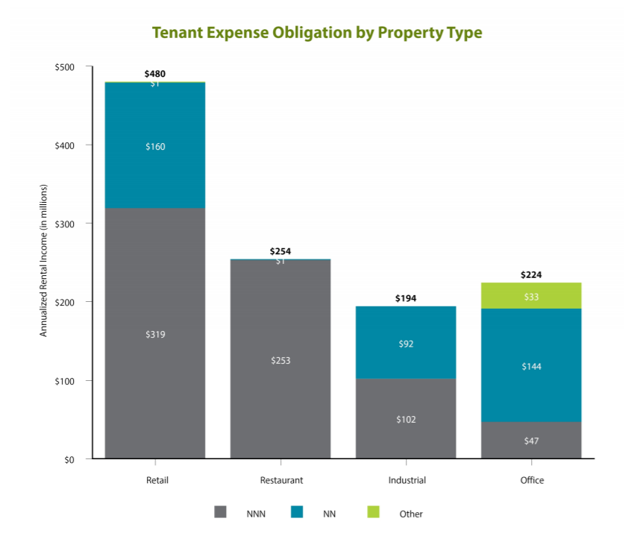 NN leases put greater expense obligations on the landlord than pure NNN leases. Their NN exposure should improve since management indicated that there would be more dispositions from their office portfolio by the end of the year. The sheer size of their portfolio means it will take many more years of acquisitions, renegotiations, and dispositions to significantly change these numbers. With one settlement behind them, VER is slowly making progress. VER is currently negotiating a settlement to avoid a civil lawsuit from the SEC and the SEC has already stated that they do not intend to pursue a criminal lawsuit. The largest lawsuit is the class-action filed in the Southern District of New York. That lawsuit has a trial scheduled for September 9th, 2019. While it is always possible for a trial to be delayed several times, there is some hope that a settlement will be reached by the 3rd quarter of next year. Any settlement should be a positive for VER by removing the fear, uncertainty, and doubt. Additionally, VER will immediately realize the cash flow benefits of reduced legal expenses, slightly offset by whatever interest or dilution costs associated with the actual payment. For 2019, investors should be prepared for legal costs to remain elevated and VER will remain conservative with their dividend level. A raise is not in the cards unless their taxable income is high enough to require it, and I do not believe it will be. There is no doubt that Rufrano and his team have done an excellent job improving the risk profile of VER. They have significantly deleveraged the company, saving the credit rating and made it capable of absorbing the inevitable hit from the lawsuits. The portfolio is moderately improved, with better diversification. However, it continues to face challenges in having a high number of flat and NN leases. This portfolio is not comparable in quality to premium peers O or NNN. With over 4,000 properties, it will take a considerable amount of time to really make those types of changes. VER will be dealing with legacy ARCP portfolio decisions for decades. VER expects to increase their acquisition levels at the end of this year and to be net buyers next year as well. Their choices now will provide us a look into what the future VER will look like. With an improved balance sheet and the end of litigation in sight, VER is in a much better position than it was 3 years ago. Anyone looking at an investment today should be prepared to be patient, as growth is more likely to come late 2019 or even 2020. Disclosure: I am/we are long O. It has been a while since I updated my thoughts on Nektar Therapeutics (NKTR), and a lot has happened with this biotech over the past year, including a huge development deal with Bristol-Myers (BMY), mixed trial data at ASCO, and ongoing progress with additional compounds in the oncology pipeline. On top of all that, Nektar has a pain asset with potentially impressive upside, an exciting early-stage anti-inflammatory asset, and a significant amount of cash. Nektar shares sold off hard after the disappointing ASCO results, but have since recovered 40%. At this price, I don’t necessarily think Nektar is seriously undervalued relative to the development risk. That’s a key caveat, though, as better clinical data on the NKTR-214 (or ‘214) melanoma program at the November SITC could restore some bullishness here and there is a lot of potential value in ‘214, NKTR-358, NKTR-262, and NKTR-255 that could be unlocked with future clinical successes. Clearly, the biggest driver for Nektar over the past year has been the rise and partial fall of expectations for ‘214, the company’s proprietary engineered IL-2 conjugate that could become a potent addition to immuno-oncology (or IO) combos. As I’ve written before, the IL-2 concept was validated long ago, but the use of it has been restricted by awful side-effects. While ‘214 showed rather unimpressive results as a monotherapy (something that does concern me…), the safety data have been very encouraging. The big controversy now is still whether or not ‘214 really adds a meaningful benefit above and beyond PD-1 antibodies like Bristol’s Opdivo/nivolumab. Earlier data from the Phase II PIVOT study were encouraging, with a 64% ORR in frontline melanoma reported at the November SITC meeting (better, or at least on par with initial Opdivo+Yervoy results and Merck’s (MRK) Keytruda plus Incyte’s (INCY) epacadostat (a once-promising IDO inhibitor that failed rather spectacularly earlier this year)). Unfortunately, those results deteriorated at the ASCO update with a 52% ORR (though still showing a surprisingly strong ORR in PD-L1 negative patients). Bulls argue that the incremental data presented at ASCO was too immature and that the new patients hadn’t been on therapy long enough. While there’s a reasonable argument to be made there, I think some bulls go a little too far in expecting a “deepening” response over time – though that has been the case with IO therapies in some cancers, melanoma studies have shown less of that (responses tend to come early or not at all). Data in renal cell carcinoma (or RCC) have likewise been mixed, with ORR rising from 46% in November of 2017 to 71% early in 2018 to 54% at the ASCO presentation. Though more encouraging than the melanoma results, there have been other combos (including a levatinib/PD-1 antibody combo) that have done even better. Data from non-small cell lung cancer (or NSCLC) and bladder cancer have been encouraging, but the number of patients involved has been quite small, so the data are very preliminary at this point. All told, I’m cautiously bullish on ‘214. I don’t see it being a mega-blockbuster like some bulls, and I do acknowledge the risk/possibility that it may go the route of Incyte’s epacadostat and show no meaningful benefit at all. After all, drugs that don’t show adequate efficacy as monotherapy don’t tend to suddenly become great in combos (synergy in oncology combos is rare .. but it can/does happen). I do think, though, that if ‘214 can show similar efficacy as Yervoy in combination with Opdivo there is something here. Opdivo and Yervoy are a highly effective combo in cancers like melanoma, but the tolerability is awful, with 30% or more patients discontinuing because of severe adverse events. If ‘214 can add statistically significant efficacy to the Opdivo baseline but with a clean safety/tolerability profile, there should be worthwhile potential even if it’s just for those patients who can’t tolerate Opdivo+Yervoy combos. The upside beyond that, though, is meaningful. While PD-1/PD-L1 antibodies are rightly hailed as major advances in cancer treatment, the complete response rates are low and there is still significant room for improvement in the number of overall responders. If ‘214 can increase the number of responders (and there’s evidence that the drug can “flip” some patients from PD-L1 negative status to PD-L1 positive) and/or the number of complete responses, that’s a very worthwhile drug with multiple billions of dollars in potential revenue across melanoma, RCC, NSCLC, bladder cancer, and other cancer types. I’d also note that Nektar has put a lot of energy into making the most of this drug. Not only does the company have a major collaboration with Bristol-Myers (one that gives Nektar very strong economics and a lot of long-term strategic options), but the company has pursued other non-PD-1 partnerships with companies like Takeda (OTCPK:TKPYY) in hematology and Syndax (SNDX) in patients who’ve progressed while on PD-1 therapy. Although ‘214 is the biggest value-driver for Nektar, it’s far from the only worthwhile pipeline opportunity. Nektar’s pain drug ‘181 is under review at the FDA, and after surprisingly good Phase III data and positive abuse study results, I believe there’s more opportunity here than once thought. Capturing just mid-single-digit share of existing oxycodone and tramadol prescriptions should be enough to drive $1 billion in revenue, and I believe the lower abuse potential of ‘181 should make it an appealing option given the heightened awareness and concern over opioid abuse. Netkar also has multiple other early-stage oncology assets in its pipeline, including a TLR agonist (‘262) and an IL-15-based therapeutic (‘255) superficially similar to ‘214 in some respects (it also induces NK cell and CD8+ cell proliferation and activation and enhances memory T-cell response). Nektar has begun studies of a ‘214+’262 combo in multiple cancer types (the REVEAL study) and should be underway with studies of ‘255 before too long. Although the TLR space is relatively crowded with experimental compounds, some of the pre-clinical (murine) work has been very encouraging and the proprietary combination of ‘214 and ‘262 could be powerful. Time will tell, though, and preliminary data should be available in 2019. Nektar also has ‘358, its “anti-‘214” that has shown encouraging pre-clinical efficacy in activating regulatory T-cells and essentially calming the immune system, suggesting potential as a treatment for autoimmune diseases like lupus, Crohn’s, and rheumatoid arthritis. Nektar’s partner Lilly (LLY) is underway with dosing in its first study (lupus) and this is definitely a drug to watch. Nektar’s pipeline progress has certainly helped push concerns about its partnered marketed drugs to the back burner. AstraZeneca (AZN) continues to struggle to make real progress with Movantik, while Shire’s (SHPG) prospects for Adynovate aren’t looking nearly so promising giving recent competitive launches in hemophilia and potentially competitive late-stage clinical programs elsewhere. While these partnered programs still do figure into my valuation for Nektar, they’ve declined from once making up nearly half of the value (back in 2015, when ‘214 was barely even on investors’ radar) to less than 10% today. ‘214 is the biggest single value-driver for Nektar today, and I estimate a current value per share of about $28 on over $12 billion of addressable revenue opportunity with odds of success ranging from 30% to 50% across various indications. 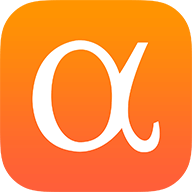 Given the scope and scale of the clinical program Bristol-Myers has agreed to, there’s certainly opportunity for more addressable revenue to come into that pool, as well as the opportunity for positive clinical data to de-risk those odds of success. The very early-stage nature of ‘358, ‘262, and ‘255 significantly mitigates the current value of these drugs, but there is definitely material upside if or when the company presents positive clinical data that argue for higher odds of approval and/or a larger addressable market opportunity. With ample cash (Nektar could still be sitting on $1 billion or more in cash when it turns free cash flow positive) and a deep pipeline, Nektar is definitely a credible biotech investment idea. Although I’m not as bullish as some on ‘214, my bias is positive given the mechanism of action and I hope future data read-outs strengthen that bias (seriously, who roots against a cancer drug working?). I just think that there are a lot of unknowns left in the pipeline and I believe in taking a conservative view on biotech valuation when there’s not a lot (or any) late-stage data. To that end, my fair value of Nektar is in the low $60’s right now and I’m not so interested in buying, but I freely admit that the real potential could be much higher if those clinical trials generate clean positive data. Have you considered starting a mobile app? Or does your company already have one in progress? There are thousands of successful mobile apps on the market, but tens of thousands of failed starts to balance them out. Building a mobile app isn’t a get-rich-quick-scheme; instead, it’s a trial by fire that only a small percentage of candidates survive. Of all paid apps, about 90 percent are downloaded less than 500 times per day, earning less than $1,250 per day. Considering the high upkeep costs of applications, that can hardly be considered a success. So what are the main reasons most mobile apps fail? 1. Improper audience targeting. According to Andrew Daniels, “Apps will often fail because they’re not meeting the needs of the target audience or because they’ve not researched simple things like the most used devices of the target audience. If your customers are predominantly Android users and your app is only on iOS or vice versa, you have an immediate problem. We also sometimes have businesses come to us with an idea for an application concept, but no real data suggesting whether the market needs or wants it or whether anything like it is already available.” You need to define your target audience, and be sure they’re going to use and enjoy your app. Research is your greatest asset here. 2. Poor user interfaces. According to Britt Armour, “There are a lot of components involved in building an app that offers a great user experience, but at the basest level, your app needs to be intuitive. If a user struggles to perform basic functions on your app and can’t figure out core functionalities easily, the result is very poor usability.” Your app design should make the app so approachable, even a novice could figure it out. 3. High levels of competition. The app market is saturated, so even if you have an original idea, you’ll likely face significant competition from at least two or three other companies. If you’re caught unprepared by a dominant competitor, you might not be able to survive. You can gain an advantage by reducing your prices, offering better functionality, or avoiding competition entirely by focusing on a different niche. 4. A lack of a marketing strategy. In the words of Juned Ahmed, “These days, by building a great app you have just done half the work. Until you market the app and make it discoverable to the audience, the whole effort will not get its due. Many mobile apps do not make enough to sustain as a business principally because of a poor or half-hearted marketing strategy. Just writing a great App Store description is not enough.” Make sure you work with a professional and diversify your tactics. 5. No brand consistency. Without a consistent brand, you’ll struggle to increase your customer retention. You’ll need to start with solid brand guidelines outlining the character, image, and voice of your company, and make sure those standards are enforced on all platforms. 6. Lackluster support and follow-up. If a user has an issue with the app, who are they going to turn to? If you don’t offer solid customer service, or follow up with your customers to make sure they’re having a good experience, your app could fail. Fortunately, this is one problem that doesn’t take much investment to solve; just listen to your customers and give them what they’re asking for. 7. A poor monetization strategy. There are many ways to monetize an app, whether it’s through a paid download, paid extra content, or displayed ads. If you choose the wrong strategy, or implement it inefficiently, you might cut your revenue stream in half. Look to your competitors, and don’t be too greedy with your profits initially, or you could scare away potential customers. 8. No plan to scale. In the words of Artem Petrov, “Mobile app development failures aren’t something the top players on the market have no idea about. The successful developers gather data, make well-informed decisions and adapt their apps, while others just wait for downloads… and fail.” If you want to be successful long-term, you need some plan to improve your app over time, and grow your user base. If you stand still for too long, a competitor will easily be able to improve upon what you’ve built, and poach your users away from you. Keep your app updated, and aim to keep expanding. It’s certainly possible to make a mobile app successful, even in a market as diverse and competitive as this one. But if you’re going to survive, you first need to learn from the failures of the untold thousands of apps that came before you. Do your research, plan everything you can, and tread carefully, especially in your first few months of operation. JAKARTA (Reuters) – Indonesia’s central bank has issued a fresh warning about trading in cryptocurrencies like bitcoin because of the risk of losses to the public and even a potential threat to the stability of the financial system. Every few years marketers must come to grips with the fact that they don’t fully understand the motivations of the next generation that’s growing up and assuming more spending power. Although Gen Z has been on brands’ radars for the past few years, organizations are still trying to figure out who they, how they work and live, and, what they want from brands. The members of Gen Z, 16-22 year olds, might surprise you with their shopping habits. Even though they’ve grown up with digital fluency, a smartphone always in their hand, they still prefer shopping in stores than online, according to a survey from IBM and the National Retail Foundation. Gen Z already makes up 25 percent of the US population, so it’s smart for any retailer to update their stores with what they want. According to a study from RIS and Tata Consulting Services, this means implementing new technologies in stores such as smartphone self checkout, interactive shoppable screens, and virtual try-on for apparel. It makes going to the store an interactive, fun experience–which is the only way to draw in the generation that’s grown up with instant access to everything, from films to social media. What does this mean for retailers? That it’s time to work with, not against, their smartphone habits and integrate phone usage with the shopping experience. Creating an app, for example, or implementing virtual reality in-store. It’s all about creating a frictionless shopping journey, so that the shopping experience is as easy for consumers as possible. In addition to updating stores with the right technology and combining store features with smartphone usage, retailers should also ensure that they’re using the right kind of store design. Because Gen Z-ers have grown up with the Internet, aspirational browsing is an important shopping habit for them. It’s less about buying immediately for them than it is about finding the perfect item on Facebook or Pinterest, creating digital scrapbooks, and creating an entire experience around the purchase. Which is why it’s important for a retailer to recreate the same experience in their stores. Gen Z-ers, according to retail consultancy FITCH, have the following aesthetic and sensory preferences when it comes to stores: they orientate by contrast and color before exploring product features, their focus is on the product instead of signage, and touch and access to the product, instead of off-putting clinical displays, are key. According to a study from RetailDIVE, 80 percent of Gen Z purchases are influenced by social media. This should come as no surprise, considering that they’ve grown up with social media their entire lives: in one study 50 percent of them said they can’t even ‘live’ without YouTube. But it’s not as simple as posting an ad on Facebook and waiting for Gen Z-ers to like a page or walk into a store. This generation hates having ads pop up on their phones–in large part because they view phones as an extension of themselves, and it’s an invasion of their private lives. Instead, they’re more drawn to mobile app awards or to branded content that’s entertaining, whether it’s got a story, music, or humor. If retailers want to be successful in selling to Generation Z, they still need to step up their game when it comes to the shopping experience. It’s not just about dressing mannequins in the latest trendy styles or guaranteeing fair labor standards for their workers. Gen Zers crave an interactive, engaging experience in every part of their lives–and for their shopping habits, this is definitely the case. LAGOS (Reuters) – Facebook will open a “community hub space” in Nigeria next year to encourage software developers and technology entrepreneurs and become the latest technology giant to pursue a training program in fast-growing Africa. Google’s chief executive in a July visit to Lagos said the company aimed to train 10 million people across the continent in online skills over the next five years. He also said it hoped to train 100,000 software developers in Nigeria, Kenya and South Africa. Widespread poverty means mobile adoption tends to favor basic phone models. That, combined with poor telecommunications infrastructure, can mean slow internet speeds and less internet surfing, which tech firms rely on to make money. There are mixed views on whether Amazon (NASDAQ:AMZN) is really killing it in grocery retail. At first glance, it does seem like opinions on both sides have merits. And since these opinions are mutually exclusive, it is easy to wonder about this discrepancy. I gave it a lot of thought and finally arrived at the following two conclusions. One, in grocery retail, Amazon may not have a big figure to gloat about so far. Two, traditional grocery chains are probably taking a big hit, and this is unlikely to be ascertained anecdotally. The oft heard aphorism location, location, location goes as well for grocery retail chains as it does for real estate. After years of competing and exhausting many options to differentiate themselves, grocery retail chains, the new and the old, are back to square one incurring more costs than ever. If one grocery store offers free parking, the other does too. If one offers a money-back guarantee, the other does too. In effect if one grocery retail store offers something to the customer, a competitor nearby is willing to match that experience. Therefore, grocery retail chains are now left with just three attributes to differentiate themselves. First is the format. A hard discounter will have less than 2,000 SKUs whereas a supermarket will have 40,000. Retailers are institutionalized in one format or the other. For instance, a Kroger (KR) is not going to turn itself into a warehouse club like Costco (COST). Since, the format of the store generally remains the same, it has no influence over the earnings result year after year. Second is marketing an effective price perception strategy. Just to make it clear, price perception is different from price. As summed up exceptionally in this HBR article, Amazon uses price as a psychological weapon and uses it better than anyone else in the game. Apparently Amazon sells the top moving items at a lower price compared to other retailers. Since, these products have high velocity, the perception that Amazon is cheaper is stuck. The study consistently found that other products were priced expensive relative to competitors. And third is the location. A Kroger store in Chapel Hill, North Carolina, is not going to compete with an Aldi in Medford, Massachusetts. At competitive locations, price perceptions can feed into the impact on store earnings. And of all the three attributes, none of them affects quarter-to-quarter fluctuations in earnings more than location. Why anecdotal verification can mislead investors? In the past, when I wrote two bearish articles on Kroger, readers gave me stick arguing that competitive threats are not borne out by anecdotal evidence at company stores. Indeed, but why does anecdotal evidence defy numbers reported by the company? I think I have an answer but would like to add a caveat that this explanation is theoretical at this stage and was inspired by my reading of Foxall’s Consumer Behavior Analysis. I have not independently verified it, but readers can let me know what they think about my analysis. Most grocery stores are more or less certain that customers located nearby will visit their store instead of a competitor’s. Saving a dollar on groceries is often not worth the time and gas expended on a trip to a distant store. Especially when stores hardly offer any differentiation. But for people located relatively distant from two different retail chains, the incentive to defect is higher. This number could be minuscule. But we are not talking about a 10% dip in sales or traffic. In fact sales growth and traffic are dipping just marginally at traditional chains. 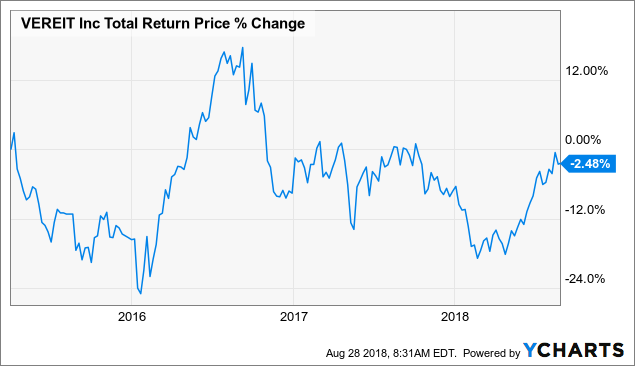 If Whole Foods succeeds in snapping just these customers at the sideline, and who were previously shopping at a Kroger’s or Wal-Mart (NYSE:WMT), the impact could be substantial. Here’s how. The table below highlights the importance of volumes for grocery retail chains. The return on equity of all companies is driven by asset turnover and leverage. But what has an outsized effect on annual changes in ROE and short-term movement in stock is the net income margin. Even a 50 basis point decrease or increase in net income margins results in approximately -+10% change in the return on equity figure. And because of the high fixed costs, small changes in sales often see net income growth going from green to red. Therefore, if people at the sideline show up at, say, a competitor of Kroger, the company’s decline in net income margin is quite severe relative to decline in both sales and gross margins. The company’s recent earnings were a case in point. And since this competitor could increasingly turn out to be Whole Foods, Kroger does deserve the decline in its market cap. At the same time as long as Whole Foods nibbles at just the periphery, it is unlikely to post a massive increase in its own top line. Therefore, the opinion of weaker results at traditional grocery chains without, say, a double-digit growth in Whole Foods seems coherent. In terms of the impact this could mean more pain for Kroger, Wal-Mart, Sprouts, and Costco. Amazon should rise once these players start capitulating. Note: Company related data have been sourced from Morningstar. Note: If you find the article interesting, kindly hit the follow button to be updated about my latest insights. Adam Savage is known as the long-time co-host of MythBusters, and he currently helps run the science and technology website Tested. His latest project is a science fiction interview show called Syfy25: Origin Stories, which he produced in partnership with Syfy. “Science fiction has meant so much to me over the years that the minute it got mentioned to me I was like, ‘Yeah! I’m in,’” Savage says in Episode 276 of the Geek’s Guide to the Galaxy podcast. Guests include showrunners like Ron Moore and David X. Cohen, authors like Neil Gaiman and Nnedi Okorafor, and media personalities like Chris Hardwick and Kevin Smith. The show celebrates the rich history of sci-fi across various media, and also explores the power of science fiction stories to make people think. Sci-fi has always faced hostility from people who don’t understand it, and its reputation has sometimes suffered from an association with low-budget films and TV shows. But Savage says the current state of the genre is very strong, and that first-rate productions like Blade Runner 2049 are sure to broaden its appeal even more. He also notes that one of his guests, Kevin Smith, describes pop culture narratives like sci-fi movies and superhero comics as his “religion”—his source for meaning and moral guidance. So could science fiction evolve into something akin to an actual religion? Listen to the complete interview with Adam Savage in Episode 276 of the Geek’s Guide to the Galaxy podcast (above). And check out some highlights from the discussion below. Japan’s embattled Toshiba (tosbf) has selected a group led by U.S. private equity firm Bain Capital to buy its prized memory chip unit, three people with knowledge of the talks said on Wednesday, a last-minute dramatic twist to a highly contentious auction. But it’s unclear whether the decision by Toshiba’s board will mean the sale will now proceed smoothly, as rival suitor Western Digital (wdc) has initiated legal action, arguing no deal can be done without its consent due to its position as Toshiba’s joint venture chip partner. The Bain-led offer for the world’s No. 2 producer of NAND semiconductors is worth some $ 22 billion, sources have said. It has partnered with South Korea’s SK Hynix (hxscl) and brought in U.S. buyers of Toshiba chips such as Apple and Dell to bolster its bid. Kingston Technology and Seagate Technology are also part of the group. Bain’s win, first reported by Reuters, has been hard fought as wrangling went down to the wire and late on Tuesday the Western Digital-backed consortium, which includes KKR & Co (kkr), appeared to be in the lead, sources said. Sources declined to be identified as they were not authorized to speak about discussions on the sale. After a slew of revised bids and changing alliances among suitors, an agreement comes not a moment too soon for Toshiba. It has has been under pressure from its lenders to clinch a deal this month to ensure enough time for regulatory reviews so that it can finish the sale by the end of the financial year. If it doesn’t, it won’t have the billions of dollars it needs to plug a huge hole in its finances caused by its now bankrupt U.S. nuclear unit Westinghouse, and could be delisted. Even without that problem staring it in the face, the semiconductor business requires huge amounts of investment and Toshiba’s chip unit runs the danger of losing its competitive ability as rivals roll out big capital spending plans. The U.S. firm has already taken the dispute to the International Court of Arbitration to prevent the sale and a source with knowledge of the matter has previously said it is prepared to seek an immediate court injunction should the deal not go its way. The Bain consortium has since revised the offer, aiming to get around that problem by inviting the state-backed investors—the Innovation Network Corp of Japan (INCJ) and the Development Bank of Japan—to invest in the business only after any arbitration with Western Digital is settled.